In a palace high above the clouds, a magical machine chugs and churns, making beautiful, identical snowflakes. 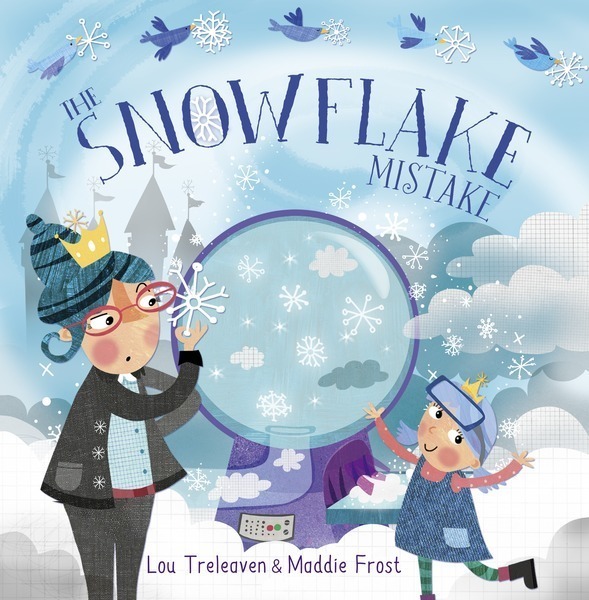 When the Snow Queen leaves her daughter, Princess Ellie, in charge everything goes wrong and Ellie must hand make each flake! Can she make enough and will her mother be happy that they are not perfect? Maddie Frost grew up in Massachusetts and attended Massachusetts College of Art and Design for animation. She lives with her husband and rescue pup in New Hampshire.